You know how you sometimes have things all planned and locked in and you’re all ready to press the launch button and then without warning you get completely and totally yanked out of that plan by something so awesomely incredible that you get whiplash from the suddenness of the u-turn you just executed? Yeah, me too. In fact, that very thing just happened to me yesterday. No kidding. I was all set to post some amazingly fun and delicious edamame recipes when I happened to be perusing the L.A. Times recipe section and came face to face with a photo of this coconut macaroon pie. Within 2 hours I had one cooling on my kitchen counter. It wouldn’t have taken me so long, but I decided to take some photos along the way… just in case. And boy howdy am I ever glad I did because that meant I could waste no time sharing this experience with you. And what an experience it is. I mean, it starts with how ridiculously easy this pie is to make. 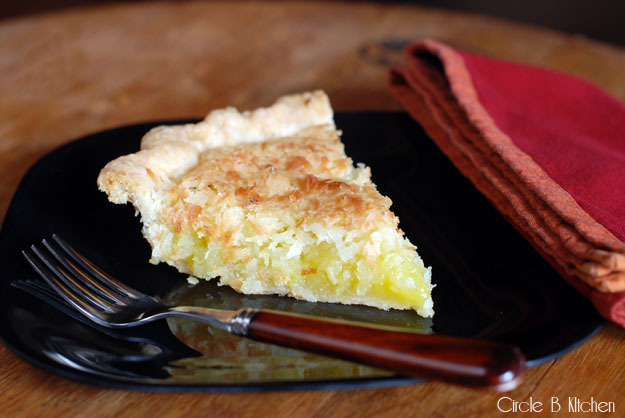 If you happen to have some coconut in your pantry, then you probably can make it right now, especially if you’re one who likes to make your own pie crusts. But maybe you have one of those in your freezer or something. The best part of the whole coconut macaroon pie experience though, is of course, that first bite. I was totally unprepared for how those simple ingredients had conspired together to create this luscious coconut custard, topped with that crisp, browned coconut. As much as I love coconut macaroons, and I do, I’ve never had one that tasted like this. And when I say this pie is easy, I mean it. Easy as pie. Sorry. 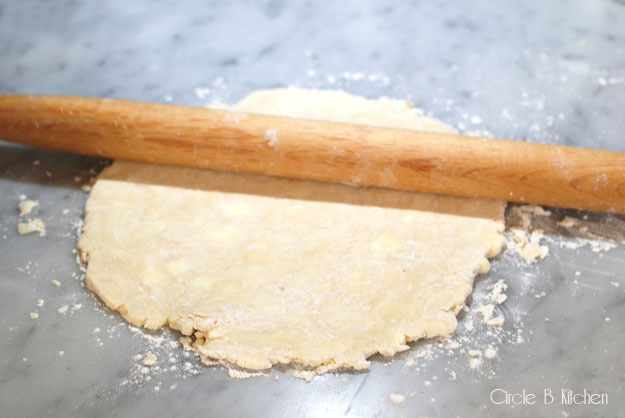 Let’s start with the crust. 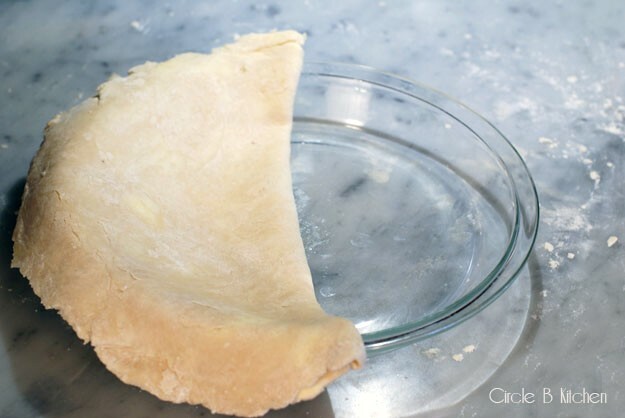 I’ve been making pie crusts for over 30 years, so I can pretty much throw one out in my sleep (here’s my recipe), but use a store-bought one if that’s your preference. we’re going to whisk together a couple of eggs, a little flour, water, salt, butter, sugar and coconut. And then we’re going to add my secret weapon to make this pie even more spectacular. Ready? Yep. 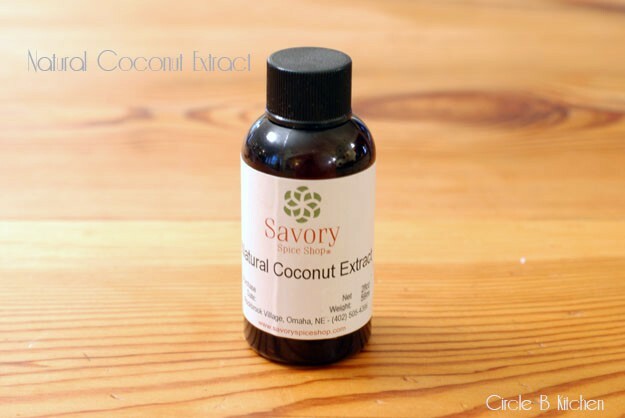 Coconut extract. It wasn’t in the original recipe, but I cannot make a coconut pie or cake without it. We’re not talking imitation flavoring. Your pie will be better if you leave that out. No, we’re talking about the real deal… extract. It’s a bit hard to find, but if you’re determined, you can order it online or find yourself a spice shop that carries it. Then we’re going to pour that lovely coconut mixture into your pie crust and sprinkle the top with more coconut. Then we’re going to bake it, let it cool and slice it up. It’s that easy. 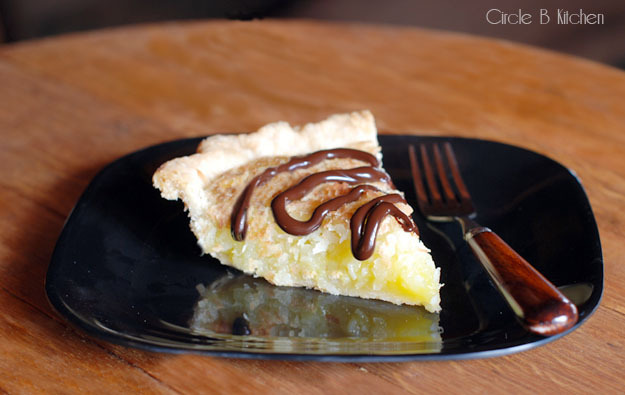 Oh, and if you really must, but it sure doesn’t need it, you can drizzle your slice with a little chocolate. As I mentioned in my post, I added coconut extract, but if you can't find it, I'm sure it will be fine without it. Also, it took my pie the full hour to bake, and then I had to turn the oven up to 350 for the last 5 minutes. 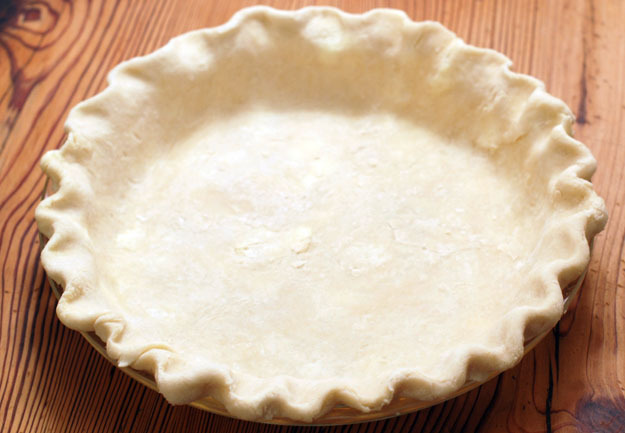 Every oven is different, so check your pie at 45 minutes, but it may take a bit longer. 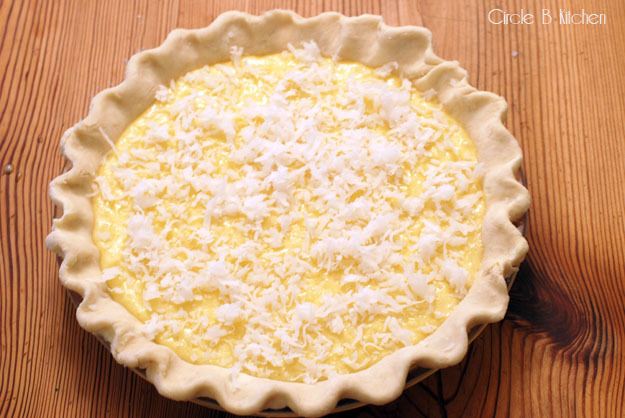 1 1/3 cup sweetened flaked coconut, plus extra for sprinkling over the top of the pie if desired. In a large bowl, whisk together the eggs, water, sugar, coconut extract, flour, salt and butter. Fold in the vlaked coconut. Pour the filling into the unbaked pie shell, and top with a little extra coconut if desired to brown as the pie bakes. 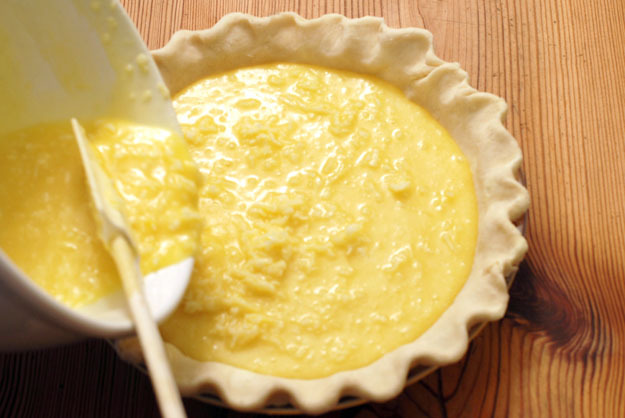 Place the pie in the oven and bake until lightly golden and the custard is set (it will jiggle only slightly when tapped), 45 to 55 minutes, rotating halfway through baking. If the pie colors too quickly before it is set, loosely tent with foil. Remove from the oven and cool to room temperature. Refrigerate for a couple of hours before serving.